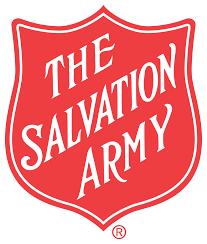 Join members of our Rotary club at the Cub Foods in Shorewood on Saturday, December 15 from 10am - 2pm for bell ringing to raise money for The Salvation Army. Our time period is broken into 30 minute time slots, feel free to sign up for multiple slots. There are three people per time increment, but of course it only takes one person to ring, and more than three are welcome! This would be a fun activity for kids, spouses and friends of our Rotarians. If the online sign-up doesn't work for you, please email Mark Gleason to register.